On a recent visit to Cape May Point State Park in search of an elusive Purple Gallinule I did not find my quarry but I did find quite a few photogenic birds. 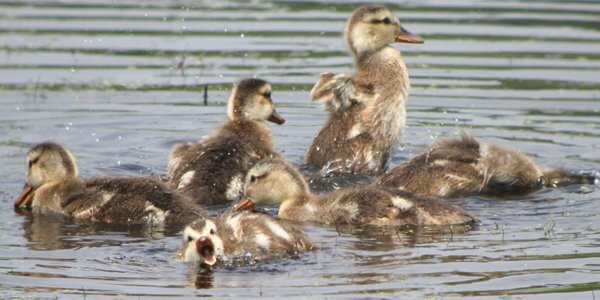 One of them or, rather, several of them, were Gadwall – a pile of ducklings with their mother. I am used to seeing young Gadwall at Jamaica Bay Wildlife Refuge, sometimes under less-than-ideal circumstances, but I rarely get a chance to see an entire brood of ducklings close enough to get some pictures. They are not in enough habitat types to be considered one of the usual waterfowl though I am used to seeing them. Anas strepera is a common and widespread duck, breeding across northern Europe and Asia, as well as central North America. Here in New York, as on most of the east coast of the United States, Gadwall are a year-round bird, breeding in appropriate marsh habitat. Gadwall are, according to BirdLife International, a Species of Least Concern because of its huge range and population, though its worldwide population trend is unknown. 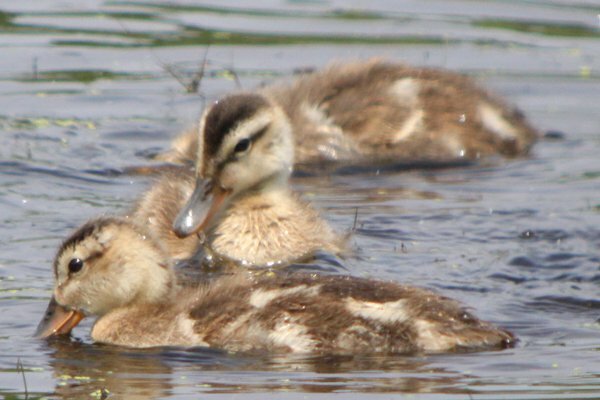 And Gadwall ducklings are CUTE! Enjoy!